It would take a lot for a translated work to be detached from its original or the perception of what it might be like to read the original and savor the book in its translated form. It happens to me all the time. I wish I could read those Spanish and Japanese works in their true form; however I do not know the languages. The same happens when reading an Indian translation, which are most often ignored by people. Indian writers have not just sprung up. They have always been there. It is a different story that the publishing dynamics have changed drastically in our country. Earlier on, the only writers who made it were either the socialites or people who were already columnists. The rest were conveniently forgotten. Well, I am glad that that is changing. The so-called “Basha” literature is now gaining its ground. It would have been great if that would happen in its original form, however the good thing is that people are becoming aware of such writers and their works. With this viewpoint, I started reading Makarand Sathe’s, “The Man Who Tried to Remember”. This book is strangely different and quite a rollercoaster read. The story begins when the central character, Achyut Athavaley, an internationally acclaimed writer and thinker, fleets in his memory patterns, and what exactly led to the murder of Bodhni, a fellow inmate of the old-age home, where Achyut is spending his years after retirement. Achyut did kill Bodhni in a fit of temporary memory loss. He is now on a trial. But this is not what the plot is. The plot is extended by numerous NGOs, politicians and the film industry protesting for Achyut’s life to be saved. The so-called media jamboree begins and that is coupled with Achyut’s thoughts fantastically throughout the book. I have never come across such modernity (in terms of writing and narration) in an Indian novel earlier, so for me, this book ranks very high in terms of style and structure. What also crossed my mind was the fact that the translation, which is done superbly by Shanta Gokhale, must have been such a task to begin with. The writing wavers from past to present and in flashes. The book is fast-paced and yet makes you ponder and think about everything that interconnects the plot – memory, emotion, murder, and political campaigning. 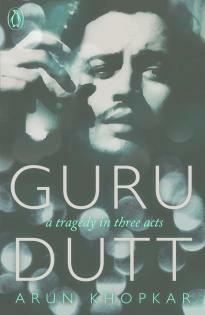 The happenings of Achyut’s life are presented in a funny manner, keeping the somber tone consistent throughout. 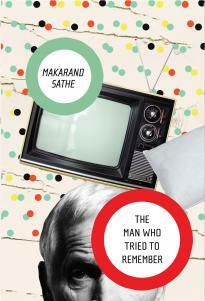 Sathe’s writing is immediate and keeping in mind the times we live in, which makes it easier to relate to. “The Man Who Tried to Remember” is a gem of a book, reflecting today’s time and age. A read that will make you question and shake things up a bit. This entry was posted in Books, Literary Fiction, Penguin Books, penguin india, Penguin Viking, Review, Translated Works and tagged Makarand Sathe, Marathi, memory, murder, penguin viking, Shanta Gokhale, The Man Who Tried to Remember, Translated Works on September 17, 2012 by thehungryreader.